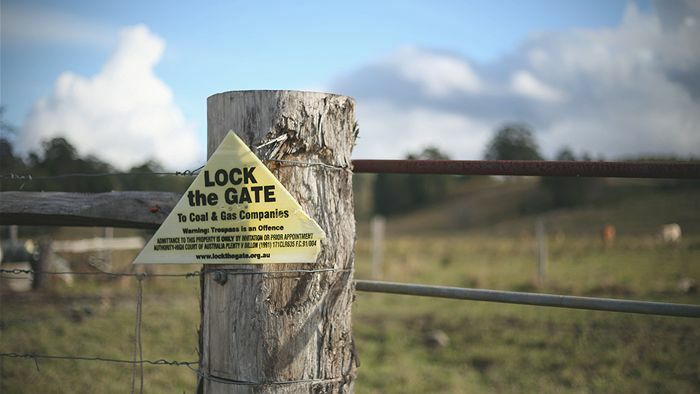 What lies behind the visceral battle between Australian rural communities and the collective force of the mining and petroleum industry is a battle to reclaim democracy itself. 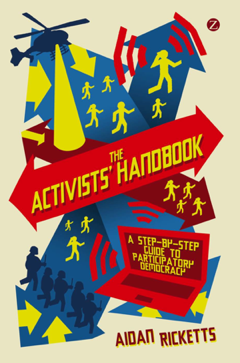 The Lock the Gate movement, by taking on the mission of restoring accountability to the way that governments deal with the mining industry has necessarily positioned itself at the cutting edge of an emerging national pro-democracy and anti-corruption movement. Democracy was hard won over many centuries and can never be assumed to thrive merely because of the presence of a particular set of constitutional arrangements. Most nations these days have democratic constitutions on paper, including notables such as Zimbabwe, Fiji, and the Democratic Republic of Congo. Democratic constitutions are a necessary but not sufficient condition for the effective practice of democracy, and by far the greater part of a healthy functioning democracy is derived from the quality of the political culture in a country. Across the globe, corruption and embedded economic power are the eternal enemies of true democracy. There are many forces that potentially undermine democracy for Australia, including concentrations of media ownership, compulsory (not free) trade agreements and more specifically the way in which the mining industry has embedded itself deeply within our political culture. This story begins with a very arrogant and self-entitled industry with a track record of corruption and human rights abuses across the globe. In many developing countries politicians and government can be easily bought, and repressive state mechanisms easily turned against local populations who resist. We need only to cast our eyes northward to the Porgera and Ok Tedi mines in PNG, and Freeport in West Papua to see this kind of corruption and oppression in action. In Australia the industry’s approach has been more nuanced. It has been to ‘capture’ the democratic process rather than openly oppose it. For at least 60 years the mining industry has been building its connections with the major political parties so much so that mining and political jobs are part of an ongoing revolving door. The examples could fill pages but let us name just one quickly from each major political party. Martin Ferguson, a former federal Labor resources minister now chairs an advisory board for the Australian Petroleum Production and Exploration Association; Mark Vaille, former federal leader of the National Party is now on the board of Whitehaven coal; Stephen Galilee, the current chief executive of the NSW Minerals Council, the state’s coalmining industry lobby group was until 2011 the chief of staff of newly appointed NSW Premier Mr, Mike Baird. Have you heard enough? Well the list goes on endlessly. The unravelling stories in ICAC in NSW are the tip of an ice berg that consists of both unlawful corruption and less than unlawful corruption. Unlawful corruption is where there is real money changing hands for influence, the classic form of ‘brown paper bag’ corruption, but the insidious and less visible form of corruption is the ‘business as usual model’ in which the mining industry is embedded in political parties and governments and influence is simply assumed. In the recent federal budget for example the mining industry was a major beneficiary of an otherwise austere budget. And let’s quickly turn to the issue of oppression. Recently it was revealed that mining companies involved in Leard’s state forest conflict used undercover military spies against community groups. Former minister Martin Ferguson openly surled ASIO onto anti-coal activists when he was Resources Minister labelling them a threat to ‘energy security’. Such unwarranted surveillance is a symptom of industry self-entitlement and paranoia. The truth is that the fossil fuel industry is facing its own historic end and the massive attempts at dissembling of climate change science by the industry is yet another example of how the industry meddles in public opinion on a grand scale. Rudd’s mining tax was attacked by the mining industry as ‘sovereign risk’. That is the mining industry word for democracy. Unsurprisingly, that prime minister was quickly removed and replaced with one that watered down the legislation and now it is being removed entirely along with the carbon tax. We are living in a time of crisis in our democracy, it is the duty of Australians who care about our land, our water and our future to stand up and boldly and proudly declare ourselves as the sovereign risk the industry fears, in other words, the people united. It is a very big and uneven battleground. The new kid on the block in this scenario of Industrial vs “Flesh and Blood” interests is enabling technology. The industrial Interests have always enjoyed internal communications, often through ( corrupt) Government itself. Now “Flesh and Bloods” have linked up in common interest groups acting simultaneously to assert their positions. Bentley was witness to that as was Leard Forest; and others I would think as well. MPs have been shown to be redundant in that they have been out of touch with constituents or have simply chosen to ignore them. The next structural step forward is to bring in Issue based voting by a volunteer electorate; mandatory voting to be abolished. Administrative assistants can take over the constituent based tasks of MPs. That is the way forward with Democracy. Our current state is “Demockery”. I agree with you there: “the insidious and less visible form of corruption is the ‘business as usual model’”. Capitalism itself, which normalises the intermeshing of big business interests and politics, is like an unquestioned paradigm that has no scope for policing, because it is not the specifics of this politician or that politician; rather it is the system as a whole that inevitably welds together where power concentrates (politics and business). And I agree with your comments regarding ‘sovereign risk’. If minerals become genuine assets for the people, not the multinational mining companies, the question of sovereign risk seems to me to be a misnomer. Even if you accept there is a risk (which I am reluctant to do), at least that is better than ‘diminished risk’ with no or little or negative public benefit. Once we sell off our minerals, we can’t go to a bank and get more. If a nation cannot earn adequate recompense for resources and the commensurate environmental damage that goes with their extraction, then what’s wrong with leaving them in the ground? I feel our existing democracy is deeply flawed and I would like to see many changes, including: the proficiency and honesty of candidates should be pre-scrutinised, candidates must demonstrate a history of service and connection to the community before being eligible, and campaign promises must be guaranteed and overseen by an independent body which has powers to check policies and politicians that renege on election promises.